I read about it (Data Analytics Studio) in some threads and want to know more about it (trial/download etc. ), is it open source? @Richard Dobson Do I have to be a paying customer in order to download it? Yes, I agree but if you have been following the HWX products, DAS is part of the Dataplane service [DPS] which is only available for supported clients through the customer portal. Reading carefully you should have seen an Important notice. 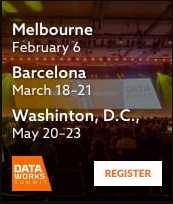 But you have a chance to preview and test the Data Analytics Studio if can download the Hortonworks Sandbox HDP 3.0. the image is already baked with DAS. I am currently audited Data Analytics Studio v1.2.0. And I am aware that the program uses dps-apps on github.com. But the code is not accessible. Is it really opensource? If you found this answer addressed your question, please take a moment to log in and click the "accept" link on the answer. That would be a great help to Community users to find the solution quickly for these kinds of errors. I had saw DAS on SandBox. But if I don't have portal customer, I don't install DAS ? Hello, I have the same problem that Mujeeb. * The documentation "https://docs.hortonworks.com/HDPDocuments/DAS/DAS-1.2.0/installation/content/das_create_the_repository_configuration_file.html" request to go "/etc/yum.repos.d" directory but I have ubuntu Oo. request to install hdpx-data-analytics-studio-mpack-X.X.X.tar.gz file but I don't found this file. can you enlighten us ?